Author Robin Jones tells the story the classic British Narrow Gauge Lines. Their purpose – to take trains through upland regions where normal sized railways would be too costly to build. How they negotiate difficult terrain in a comparatively cheap and cost effective manner. Spurn Head Railway in Yorkshire, where trains were hauled by sails! 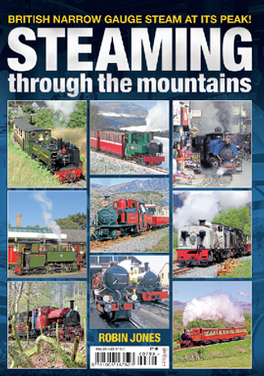 Be the first person to tell us what you think about Steaming through the Mountains and you'll save £2.50 on your next purchase!